First Bahrain’s BIW project is conceived due to a clear shortage of quality warehousing space in the Kingdom of Bahrain, and is aimed at raising the bar for warehousing development by developing modern spatial solutions catering to the needs of small to medium enterprises (SMEs). The BIW warehousing development, in close proximity to the new Shaikh Khalifa Port, is a prime example of First Bahrain’s demand-driven investment approach, as well as its approach to exploring untapped opportunities in Bahrain’s real estate market. The development also reflects First Bahrain’s entrepreneurial spirit and its ability to differentiate its offerings. 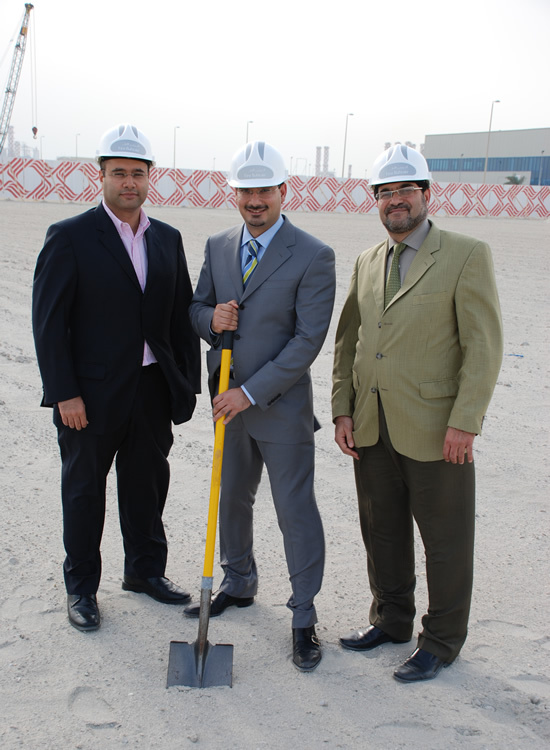 The BIW groundbreaking ceremony follows the recent appointment of Abdullah H. Al Darazi & Sons Co. as main contractor for the development. Also serving in the project team are consultants Tebodin Middle East, the Project and Construction Managers, and BWS Middle East, who perform duties as Quantity Surveyors. In addition to the physical warehousing space, the development will offer a range of value-added services, including a 24/7 security service, state-of-the-art ICT provision, assistance on fit out, and leasable forklifts. The warehousing space will be divided into individual units, starting with 1,000 square feet and with an option to combine units to accommodate larger tenants’ needs. The small to medium, modern and safe warehousing spaces can be used solely for storage, or as a combined storage and office facility, ideal for encouraging startups and smaller companies and in allowing existing companies to expand. Copyright 2019 First Bahrain™ All rights reserved.